February 03, 2019 / April A. 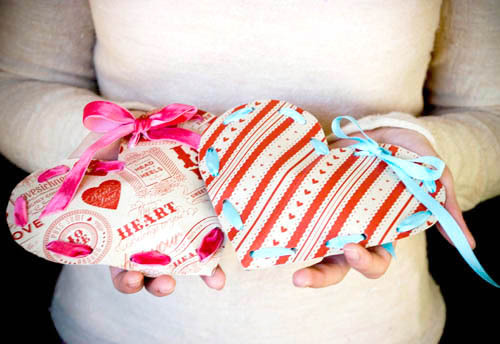 Fold paper in half and cut out two hearts. Spacing evenly punch holes around the edge of heart about 1/2 apart starting at the tip of your heart. Place both hearts together lining up holes. Starting where you would like to tie your bow, lace or sew ribbon folding the end of the ribbon to make it easier to sew. When you have about 2-3 holes left stuff your Valentine with your friend or loved one's favorite Valentine's candy along with a sweet Valentine note. Tip: To get your holes to line up punch holes in first heart then using a pen mark your second heart using your first heart as a template. We used American Crafts papers and ribbon from the Love collection. February 01, 2019 / April A. Are you looking for a cute bright cheerful Valetine card to pass out to your loved ones this Valentine’s Day? I made these free printable Valentine’s just for you! These would be great for a Galentine’s day party too. October 01, 2018 / April A. How has your first week of fall been? Did you try any of my Favorite Fall Recipes or create one of these Fall Leaf Wreaths with your kids? 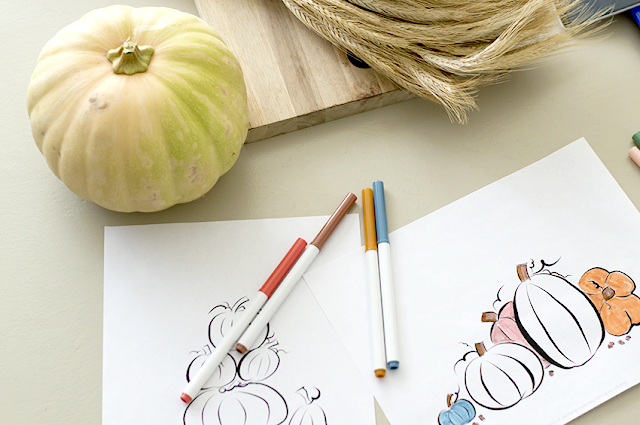 You know, I love making these free printable coloring pages for you as much as I love coloring them. I will print one and have it out on my desk for when I start feeling overwhelmed. There is just something about choosing the colors and putting marker or pencil to paper and coloring. 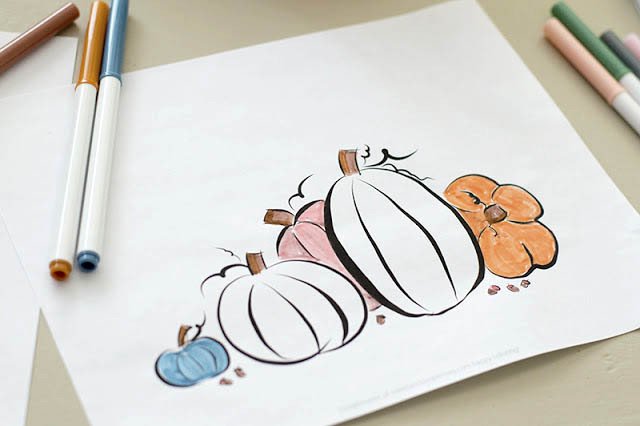 I made these color pages so you can color them as well as your kids. Feel free to print some out and share them with your kids classes or even with your work mates. I hope you enjoy them as much as I do!